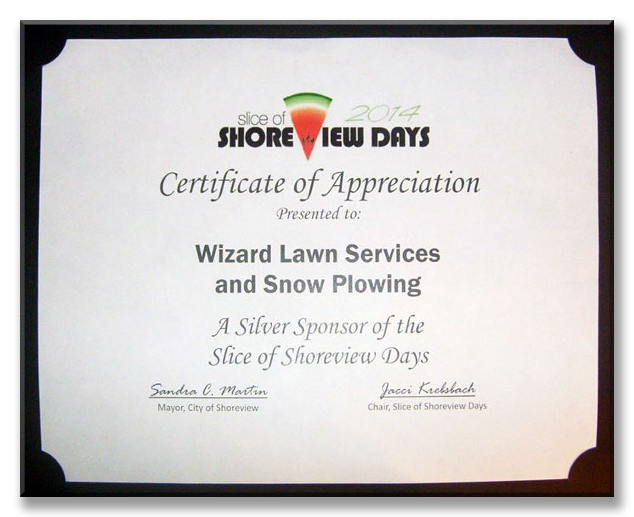 Wizard Lawn Service and Snow Plowing, LLC is a MN state registered, fully insured, family-owned local business in the Twin Cities area. We started our business in Arden Hills Minnesota, and are located now in Shoreview, Minnesota. We serve both commercial and residential clients. Free Estimates! 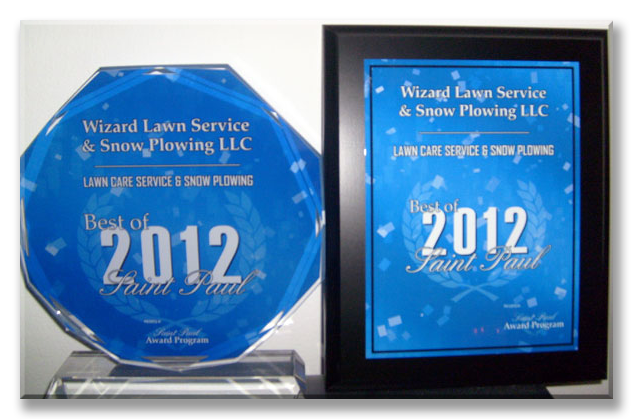 "2012 Best of St. Paul Award"
Contact the Wizard for Best Deals on Seasonal Contracts!